I will start with the three moisturisers pictured above. They are all beautiful and all reasonably rich so if you have oily skin or are prone to breakouts, they are probably not for you. I have dehydrated, sensitive skin and found them all to be a pleasure to use. 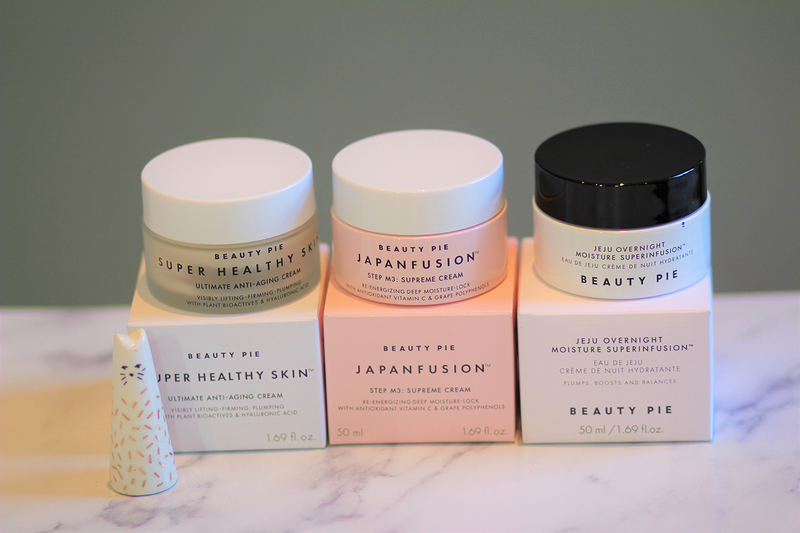 Super Healthy Skin Ultimate Anti-Aging Cream is the most expensive of the three costing £11.64 to members and £100 typical price (Typical price is how Beauty Pie describe similar products from other cosmetic companies.) It is packed with anti-aging ingredients and hyaluronic acid to plump out the skin. I found it absorbed quickly and didn’t leave a greasy residue. I have also used it on many clients under makeup and it gives a really nice base without piling or excess grease, just beautifully primed skin. If you have oilier skin (or are younger) you might find their Super Healthy Skin Daily Moisture Lotion a less rich alternative. 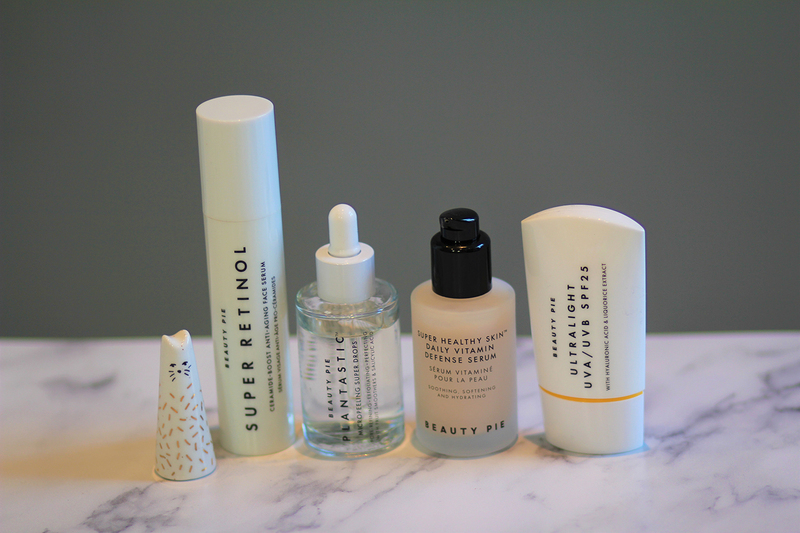 The Jeju Overnight Moisture Superinfusion is a gorgeous addition to my night time skincare routine. It has a thick almost balmy texture and is quite fragranced (which did initially worry me a little because of my sensitive skin but hasn’t caused me any irritation or redness) I apply it after primer and it glides onto the skin like a dream. If my skin is feeling dry or dehydrated and I use this at night, I can really tell the difference in the morning. I find it works especially well on my chest and neck, which are areas I think we all neglect at times (or all the time until we see them aging and then panic!). The Jeju Overnight cream costs £8.90 to members or £70 otherwise. I have only been using the Japanfusion Step M3 Supreme Cream for about a week and I love it. I want to say that it is my favourite but I haven’t tested it under makeup yet. It has a thicker consistency than the Super Healthy Skin and does feel a bit richer, it leaves my skin super hydrated, bright and clear, again this is particularly good on your chest and neck area, or décolletage as the beauty industry calls it. This costs £9.74 or £100. 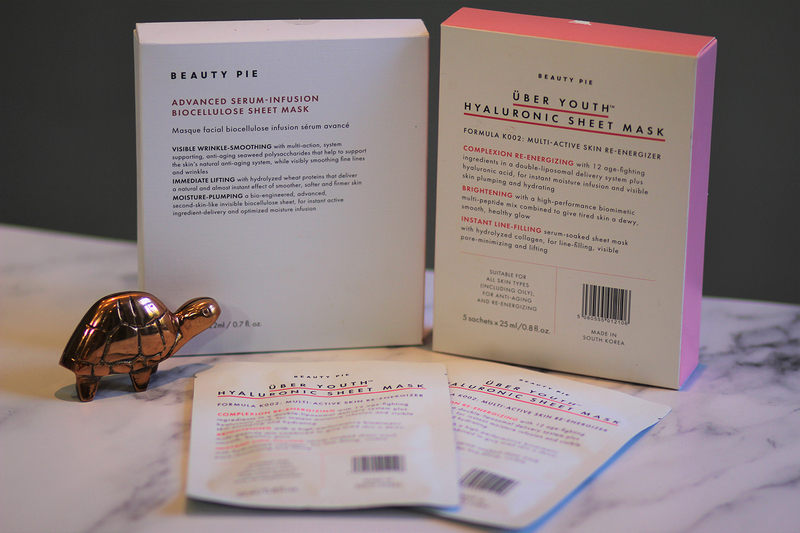 Of the two sheet masks I have tried from Beauty Pie, my favourite is the Uber Youth Hyaluronic Sheet Mask. It is packed with skin plumping ingredients and leaves my skin extremely well hydrated, clear and bouncy (I know, bouncy, big claim). The first time I used it I was very pleasantly surprised and have since repurchased this a couple of times. I try to use it once a week and apply it early in the evening so that I have plenty of time to let the serum soak into my skin before bed (I hate a sticky face on my pillow). I am not sure of the technology of the sheet itself but it feels quite silicone and sticks to the face really comfortably. This costs £19.04. The other mask is the Advanced Serum-Infusion Biocellulose sheet mask. I would probably use this to boost my skin before an event, it is not as messy as the Uber Youth mask. This is more like a papery mask and doesn’t hug the skin as well as Uber Youth but I found it to be quite brightening but not as hydrating. They are different products for different times, I would say that the Uber Youth mask is better for a weekly treatment, maybe following on from exfoliation and the Advanced Serum mask is better as a boost for lack lustre skin before an event. I was concerned that this might irritate my sensitive skin but it didn’t, I just don’t feel that it made much difference to my skin either, I haven’t repurchased this one. It costs £15.47. The other products that I have tried so far are pictured above. 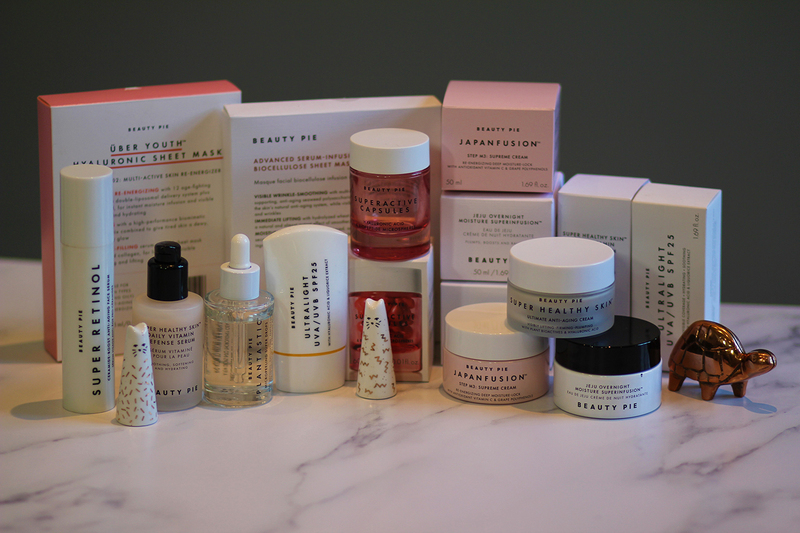 My favourite is the Super Healthy Skin Daily Vitamin Defense Serum which is new to me and has quickly become part of both my day time and night time routine. It is super hydrating and but not at all greasy, I actually use it before my Japanfusion serum (which is probably complete overkill but I love that one too and can’t choose between them so use both, very extra). I also use the Super Retinol serum at night time, on clean skin and before any other products. I try to leave it on my skin alone for 5-10 minutes so that it can work its magic and not be diluted by other creams and serums, don’t know if that has any scientific basis but its what I do. I can’t say I have noticed a great difference in my skin since using it but I haven’t suffered from any extra sensitivity which you can get from retinol products so think I will keep going, more as an insurance policy than because I can’t bear to be without it. The Ultralight UVA/UVB SPF 25 hasn’t had much of a trial so far because the sun hasn’t really put in an appearance yet this year. However, when I have tried it, I have been pleased with how light it is and how well it sits under makeup. Also, I was pleased that it covers both UVA and UVB light as not all sunscreens do.